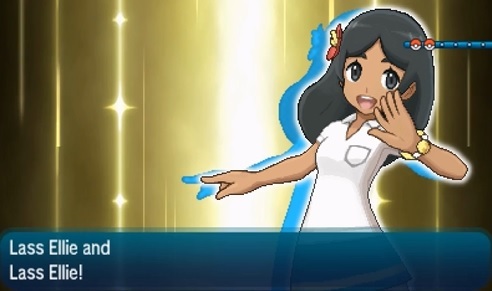 Ever since the Pokemon Sun and Moon demo was leaked, we’ve had a ton of info datamined from its code. 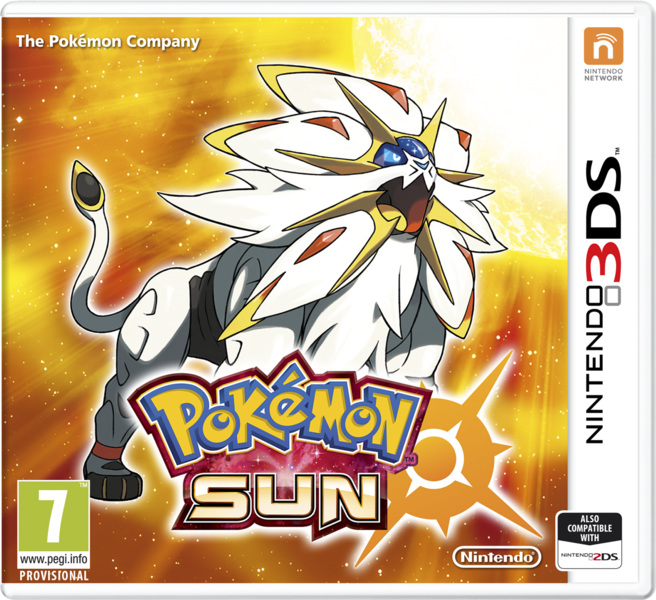 The whole Pokedex was leaked, including at least one new legendary Pokemon and tons of extra evolutionary lines. New moves and items were found. Heck, even much of the soundtrack is now up there on YouTube because of it! But one thing we didn’t find out was how the story worked. 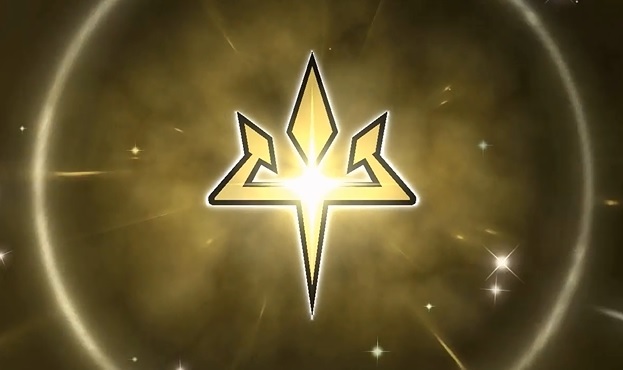 Like if the Aether Foundation really were evil all along. We seem to have proof the Aether Foundation is up to something dodgy! Why? Because they’ve got three battle intro animations here, complete with a giant golden logo and fancy camera angles to show off the opponent! And you’ve got a group that you’re clearly battling at some point in the game. So the Aether Foundation are practically confirmed to secretly be evil at this point. But their motives aren’t all we can infer here. 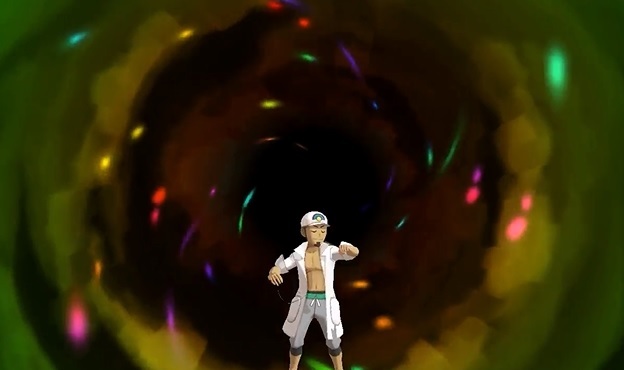 Oh no, Professor Kukui having battle animations hints he’ll be an opponent you can face too! 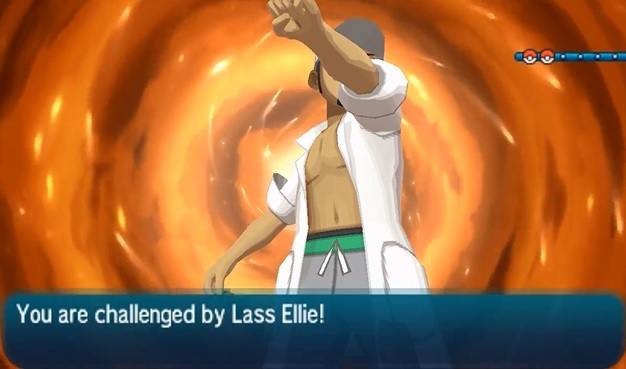 He likely won’t be evil though, just someone who tests you every now and again, like Professor Sycamore did in Pokemon X and Y. I mean, his speciality is Pokemon moves after all! It’d make sense for him to battle you at one point! As you can see in the video, there are four of these listed before Team Skull’s intros, and all four have different colours and animations. So what are they? Well, I’m going to guess they’ll be Ultra Beast intros. After all, there are eight of them total, right? And it’s confirmed that some of them will be version exclusives as well. So I think it’s likely you’ll be fighting four Ultra Beasts in Pokemon Sun and Moon, with each one using one of these void backgrounds. There’s also another one after the Aether Foundation intros, complete with it’s own design. Based on the flashiness here, it seems plausible that this background is used for the Solgaleo and Lunaala battles. Perhaps something the Aether Foundation does summons these Pokemon to Alola? Like say, their experiments on Ultra Beasts? That would fit well given Type: Null’s background and Gladion seemingly having connections to the organisation (outside of his work with Team Skull). Finally, there are some other minor details we can confirm too. 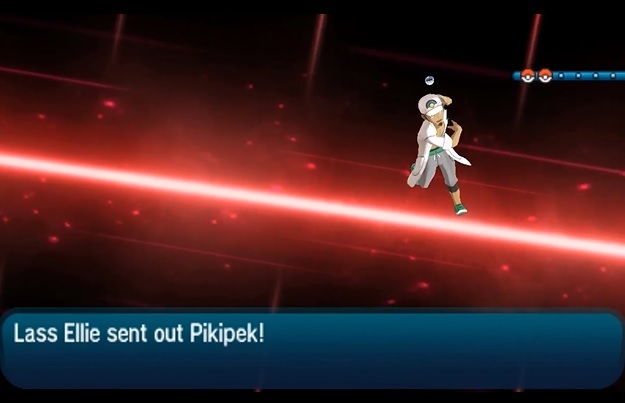 These include Team Skull facing you in double battles at some point, totem Pokemon having unique intros, and another super flashy intro that could go well with a champion or final boss. So hey, it’s likely neither the Aether Foundation, Ultra Beasts or Team Skull will turn out to be the last opponents you face in the game. But yeah, it seems we now know the Aether Foundation are evil after all. Bet you didn’t see that coming, right?